The center of this wedding band has a sand like look to it. The smoothed stone finish is surrounded by a high polished gold. 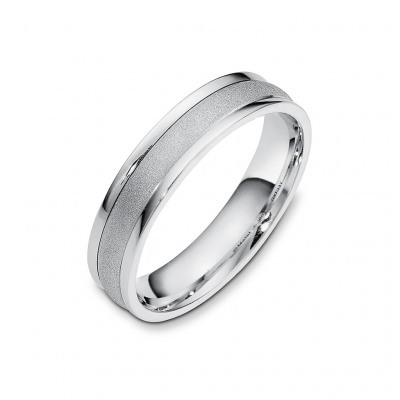 This wedding band may be ordered in 10k, 14k or 18k gold. Manufactured in an astounding amount of choices of white, yellow and rose gold combination and available in a wide selection of widths from 5mm thru 10mm wide, in one mm increments. Please use our filter to find your perfect ring or contact us if you cannot find what you're looking for.